Nathan received a Word from the Lord via night vision for King David. Remember, David had it on his mind to build the Lord a house in which to reside. “I took you from the pasture, from following the sheep, to be ruler over My people Israel. “I have been with you wherever you have gone and have cut off all your enemies from before you; and I will make you a great name, like the names of the great men who are on the earth. even from the day that I commanded judges to be over My people Israel; and I will give you rest from all your enemies. The LORD also declares to you that the LORD will make a house for you. “When your days are complete and you lie down with your fathers, I will raise up your descendant after you, who will come forth from you, and I will establish his kingdom. “He shall build a house for My name, and I will establish the throne of his kingdom forever. The Lord had done, and will do, much for David and his heritage. He reminded David that He took him from following…sheep…to leading…the people of Israel. The Lord will allow a house to built “for My Name” - but not by David. It will be built by David’s descendant. But, all this is nothing compared to what He has done for us. Are you a part of the Kingdom? David had it upon his mind to build a house for the Lord…for the Ark of the Covenant. ‘Thus says the LORD, “Are you the one who should build Me a house to dwell in? even to this day; but I have been moving about in a tent, even in a tabernacle. That same night…of the day when Nathan said “go ahead…”…the word of the Lord came to Nathan. Later we will see Nathan had a vision…a night vision. The Lord told Nathan to go and tell David some things. The Lord describes David as His servant. The Lord then asks questions. The Lord reminded David that He had never dwelt in house. He had dwelt in a tent…even a tabernacle. For us today, the Lord does not dwell in buildings built by man. We need to drop the “go to church”, “my/our church” vernacular. The building is not the church. We, true Believers, are the Body/building of Christ. The Lord dwells in a tent..in the tabernacle that is the flesh of men who call upon the Lord, who repent, who believe, who are born again. The Lord dwells in us! That was an amazing song of praise and worship unto the Most High that Asaph and his relatives proclaimed…see earlier blogs. Remember, they continued daily before the Lord. David was at rest on every side. The Lord had given him rest from all his enemies. It is the Lord alone that can give true rest! But the King had something on his heart. He was thinking about something. He called Nathan the prophet in and told him. David was checking with Nathan as to whether he should do something. He wanted to build a house for the Ark of God to reside. He wanted to build a house for the Presence of God. He wanted to build a place for God to reside. On the surface a laudable intent of the heart…perhaps. So, David had a “go” from Nathan. All is well…but is it? In subsequent verses we will see insight into how the prophets heard from the Lord, spoke for the Lord. Nathan had told David to “go ahead”. Nathan…and David…are about to find out that Nathan had “run ahead of the Lord”. He had spoken from himself, not from the Lord. Have we ever done that? It was a calling, a labor of love before the Lord. We have been looking at the song of praise that they offered unto the Lord. We are to give thanks to the Lord! We are to call upon the Lord to save us. He is our God of salvation. We are to call upon/depend upon Him to gather us together, to deliver us. So that we can give thanks to His holy name. So that we can glory in His praise. Sadly, too many professing believers give greater glory to what they are doing “in the name of the Lord” than they do to the Most High themselves. We must give all thanks, praise, honor and glory to the Lord. Begin with how we think. Begin with how we speak. Let us reevaluate all we do…yes, even the good. Does it bring glory to God? Let us bless the Lord…from everlasting to everlasting. If we do this…then all the people will affirm…”Amen!”…and praise the Lord. Asaph and his relatives continue to worship the Lord. Remember, they do so before the Ark of the Covenant located in the tent that David built for it. Look at what they proclaimed. Look at what we are to proclaim/declare. Splendor and majesty are before Him…the Lord. Such describe who God is…His character. We are to ascribe to the Lord these things! “Ascribe” means to “give unto”, “to pay attention” to. bring an offering, and come before him: worship the LORD in the beauty of holiness. He is the source of all.. Anything else that we ascribe worth to is but an idol. Look at what they were called to do. Look at what we are called to do. We sing to the Lord…all. We proclaim good tidings of His salvation…from day to day. We tell of His glory among the nation…the unsaved. We tell of His wonderful deeds among the people. Note how all are to do this. Not just a select few…though the select few continue to try to hold on to such “power”. Not just on a particular day of the week. Not just at a particular time. We we are to sing/proclaim/tell day by day…at all times. He is to be great praised. He is to be feared. The gods of the people are idols. It is interesting that often in the “notes” of Bibles one will see that “idols” are described as “non-existent” things. Why would we declare that God is greater than something that doesn’t exist? The unseen realm is real. Many are the powers of darkness that rule and reign from there. The Lord is to be feared above all gods because the Lord made the heavens. He made the other gods. Worship the Lord at all times. In worshipping the Lord, Asaph and his relatives reminded the people of what the Lord had done for them. The Lord initiated and made covenant with Abraham. The Lord continued the covenant by oath through Isaac. The Lord confirmed the covenant to Jacob as a statute. The Lord confirmed the covenant to Israel as an everlasting covenant. Because of the covenant faithfulness of the Lord they could trust and worship Him. One element of the Covenant related to land. The Lord gave them the land of Canaan. The Lord continues His covenant today. And through those grafted in. Much of the Word speaks to this…if we know how to hear. Have eyes to see…ears to hear. We are looking at the “song of worship” offered to the Lord in 1 Chronicles 16. The song brings forth instructions for the children of Israel…and us. Seek the Lord alone in worship. Remember all that He had done. David had brought the Ark into the tent he had made for it. David instructed the Levites to worship before the Lord continually. The Word gives us some insight. 1 Chronicles 16 has a 30 verse song of praise that was offered to the Lord - on the first day. You will note similarities with many Psalms. From the first day they received the assignment from David, Asaph and his relative gave thanks to the Lord. This is where we begin in all thing. The giving of thanks to the Lord. “His Name” reveals all that He is. We call upon and rest in His name. Then, do this…make known His deeds among the peoples. We are to proclaim the deeds of the Lord to all people. Start with what He has done in/with/through you. Do so today…and every day hereafter. The Ark of the Covenant was in the City of David in a tent built by David. 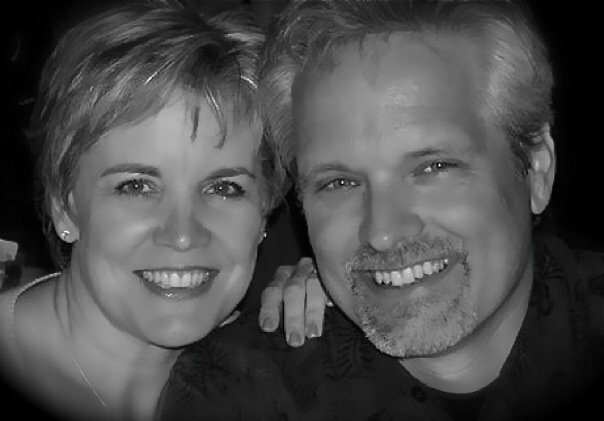 Michal was snarky in her “offense” over her husband David’s behavior. She would be barren due to her belittling of her husband’s worship. He would worship before the Lord and his people. to everyone a loaf of bread and a portion of meat and a raisin cake. David appointed the Levites to minister before the ark of the Lord. They were to give thanks and praise to the Lord God of Israel. They were to do so with musical instruments…loud ones! They are to do so continually. It was their daily work to continually worship before the Lord. But what of the The Tabernacle - the one God told Moses and the people to build? The Tabernacle of the Lord was in another place. Zadok and the priests offered burnt offering on the altar of burn offerings. They did so continually, according to the written law of the Lord. So, you have the Law still being adhered to without the Ark. Without the Presence of God. And you have David and the Levites worshipping before the Ark/Lord continually…not just one day a year…without the sacrificial system. A vivid picture of the church today. Most go about the rote religious assignments and offerings of religion. Fewer continually worship before the Lord. I know where I want to be. The Ark of the Covenant had arrived. I have been intrigued through the years over a couple of things related to this. David did not take the Ark to the Mosaic Tabernacle where it had been for centuries. David took it to a tent that he had made. They/David offered burnt offerings and peace offering before the Lord. This is strictly a priestly function, but we see David doing it. We will see later that David came/went before the Lord and His Ark when he desired. Apparently the Lord instructed/commanded/allowed David to do so. We have no account of this in the Word…as far as I know. But do see David’s actions and deeds. a cake of bread and one of dates and one of raisins to each one. Then all the people departed each to his house. He did not bless them in word only. There is a vivid picture for us. There was a time when the Mosaic tabernacle and sacrifices were carrying on without the Ark. All the rituals according to the instruction of the Lord, yet without Him. The Presence of God was with David in the tent that he had built. Most “churches” carry on in the rituals of their religion without the Power and Presence of the Lord. But, in other often unseen places, the Power and Presence of God is poured forth. The Ark of the Covenant was brought into the City of David. that Michal the daughter of Saul looked out of the window and saw King David leaping and celebrating; and she despised him in her heart. Why would Michal be upset over David behaving this way? therefore I will celebrate before the LORD. MIchal did not like how David humbled himself before the Lord…and before the people. She did not think is was “kingly”. Why was she not with the gathering rejoicing at the Ark’s return? Why was she viewing from the “high-tower” window? She was embarrassed of her husband. He was worshipping with abandon. He had set aside the trapping of power and position (clothing, etc.) and worship the Lord in Spirit and Truth. She despised him…remember how she had loved him? She called him an uncovered, shameless fool. He said it was before the Lord that he behaved in this manner. He reminded her that the Lord has chosen him…not her family’s line. He reminded her the Lord had appointed him as ruler over Israel. He declared that he would celebrate before the Lord. He declared that he would be even more humble than this. He declared that such raises his esteem in the eyes of the maids. Belittling how someone worships the Lord will bring barrenness in your life. David was returning the Ark. They had now read the instructions. Now David was clothed with a robe of fine linen with all the Levites who were carrying the ark, and the singers and Chenaniah the leader of the singing with the singers. David also wore an ephod of linen. God was now helping the Levites. David was dressed in a robe of fine linen. There were singers of praise. There was a leader of singing. David wore an ephod of linen. The Lord allowed David to do something really interesting with the Ark. Something not found in the Law. David brought the Ark into a tent that he had made. We will see more soon. For now, all Israel brought up the ark of the covenant of the Lord. The sound of exuberance before the Lord…rarely heard today. All were rejoicing…or were they? Now it was told King David, saying, “The LORD has blessed the house of Obed-edom and all that belongs to him, on account of the ark of God.” David went and brought up the ark of God from the house of Obed-edom into the city of David with gladness. and David was wearing a linen ephod. with shouting and the sound of the trumpet. The Lord blessed the house of Obed-edom on account of the presence of the Ark. David sought to retrieve the Ark again. We go to 1 Chronicles to see. consecrate yourselves both you and your relatives, that you may bring up the ark of the LORD God of Israel to the place that I have prepared for it. to bring up the ark of the LORD God of Israel. as Moses had commanded according to the word of the LORD. They did not seek the ordinance of the Lord the first time. They transported the Ark as per the instruction of the Lord. David and 30,000 chosen men of Israel were fetching the Ark. They had it on a cart. Uzzah reached out toward the ark of God and took hold of it, for the oxen nearly upset it. and God struck him down there for his irreverence; and he died there by the ark of God. and that place is called Perez-uzzah to this day. but David took it aside to the house of Obed-edom the Gittite. and the LORD blessed Obed-edom and all his household. The oxen pulling the cart with the Ark stumbled. Uzzah, apparently spontaneously “without thinking”, reached out and touch the Ark to stabilize it. The anger of the Lord burned against Uzzah. The Lord struck Uzzah down for the irreverence. He was angry with the outburst of God! They actually named the place based upon this event Perez-uzzzah (breakthrough of Uzzah). He questioned how he was to take the Ark unto himself? David then was unwilling to move the ark. They took it to the house of Obed0edom the Gittite. Ostensibly until they decided what to do. The ark remained there three months. The Lord blessed Obed-edom and all his household. Wonder what the blessing was? What was David doing in the meanwhile? It always helps to read the instructions. David now had a task. the very name of the LORD of hosts who is enthroned above the cherubim. which was on the hill; and Ahio was walking ahead of the ark. David took 30,000 chosen men of Israel to fetch the Ark of the Covenant, the ark of God which is called by the Name…a designation of God. The very Name and Presence of God is enthroned above the cherubim on the Ark. They placed the ark of God on a new cart. - with lyres, harps, tambourines, castanets, cymbals. Great detail is provided as to who was around the Ark on the cart. The war against the Philistines continued. circle around behind them and come at them in front of the balsam trees. and struck down the Philistines from Geba as far as Gezer. The enemy gathered against Israel again. He inquired of the Lord. Why do we not do this? The organizational church simply does not inquire of the Lord. We talk about “praying about it”, yet we do not pray together over a matter. We talk about “seeking God’s will”, yet we do not do so together. We must inquire of the Lord. What happened when David inquired? God told what would happen. They were not to attack directly. They were to circle around behind the enemy. God even told them exactly where to be…in front of the balsam trees. They were then to wait. They were to wait until they heard the movement of the Lord. Then, they were to act promptly. Because then the Lord was going forth before them. The Lord would strike the army. David did as he was commanded. Here are the principles for us. We must listen to the Lord. We must do as the Lord instructs/commands. We must wait upon the Lord. We must move when He moves. David was now king of all Israel. When the Philistines heard that they had anointed David king over Israel, all the Philistines went up to seek out David; and when David heard of it, he went down to the stronghold. Then David inquired of the LORD, saying, “Shall I go up against the Philistines? “The LORD has broken through my enemies before me like the breakthrough of waters.” Therefore he named that place Baal-perazim. They abandoned their idols there, so David and his men carried them away. The Philistines heard David was king. They went to seek him out. The Philistines came and spread themselves out in the valley fo Rephaim - the valley of Giants. The Rephaim were a clan/group of giants. LIterally. Some fifteen to twenty feet tall. David did what we should do. Should he go against the Philistines? Will God give them into his hands? The Lord broke through the enemy like a breakthrough of waters! He defeated them at Baal-perazim - “lord of the breaks”. The Lord broke the idols of the Pharisees…David and his men carried the idols away. Oh that we would live likewise. Living in the victory of the Lord. David was now King over Israel and Judah. He grew in might and power. David became greater and greater, for the LORD God of hosts was with him. Other nations recognized David as King. Then Hiram king of Tyre sent messengers to David with cedar trees and carpenters and stonemasons; and they built a house for David. and that He had exalted his kingdom for the sake of His people Israel. Hiram built at house for David. David understood that the Lord established him. He understood that the Lord was exalting his kingdom for the sake of His people Israel, not just for the sake of David. These were in addition to the wives and children he had in Hebron. Looks like a big, peaceful group…? David became king over all Israel while he lived in Hebron. So David lived in the stronghold and called it the city of David. And David built all around from the Millo and inward. Jerusalem, earlier called Jebus, caught David’s eye. The declared that their blind and lame would defeat David and his army. David lived in the city. Because the Lord of Hosts was with him. The last verse, 10, begins a short summary of David’s reign. It begins with God being with Him. As believers, the Lord is with us. The kingdom would be unified under David. “Behold, we are your bone and your flesh. and in Jerusalem he reigned thirty-three years over all Israel and Judah. The tribes of Israel came to David at Hebron. They acknowledged that Saul had been king over them. They acknowledged David was the one who led Israel…in battle. They acknowledged that the Lord had proclaimed that David would shepherd HIs people Israel. Therefore, the elders of Israel came to David. King David made a covenant with them. David was to rule for forty years. The King of Israel, Ish-bosheth, upon hearing of the death, lost courage. This is an example - graphic, gory and sickening - of what happens when men try to ingratiate themselves to “the powers that be”, when men seek revenge on their own or on behalf of another. As you will see, David had nothing to do with it. he lost courage, and all Israel was disturbed. and the Beerothites fled to Gittaim and have been aliens there until this day). Now Jonathan, Saul’s son, had a son crippled in his feet. He was five years old when the report of Saul and Jonathan came from Jezreel, and his nurse took him up and fled. And it happened that in her hurry to flee, he fell and became lame. And his name was Mephibosheth. So the sons of Rimmon the Beerothite, Rechab and Baanah, departed and came to the house of Ish-bosheth in the heat of the day while he was taking his midday rest. and Rechab and Baanah his brother escaped. they struck him and killed him and beheaded him. And they took his head and traveled by way of the Arabah all night. I seized him and killed him in Ziklag, which was the reward I gave him for his news. Then David commanded the young men, and they killed them and cut off their hands and feet and hung them up beside the pool in Hebron. But they took the head of Ish-bosheth and buried it in the grave of Abner in Hebron. Rehab and Baanah had killed a righteous man. Perhaps they felt they were doing right. More than likely they saw an opportunity to build themselves up in the eyes of the King. They knew not this King. Remember what you learn of Mephibosheth. The previous verses could make David look rather callous related to Abner’s death. Watch who we see in the balance of the account. And King David walked behind the bier. and the king lifted up his voice and wept at the grave of Abner, and all the people wept. just as everything the king did pleased all the people. “Do you not know that a prince and a great man has fallen this day in Israel? He called for the people to lament Abner. This included Joab - the one who killed Abner! David walked in the funeral procession. He lifted up his voice. He chanted a lament for Abner. He states that Abner had fallen “as one falls before the wicked”. David called Abner wicked in front of all. The people were worried about David. They sought to persuade him to eat. He would not eat until the sun went down…the day ended. Then the people…all of Israel…understood that it was not the will of David that Abner die. David declared that Abner was a prince, a great man. David then acknowledged that he was “weak” (refusing nourishment) that day because of these men…the sons of Zeruiah…they were being very difficult…Joab, Abishai, Asahel. Joab was upset that David had allowed Abner to leave. Watch what happen to Abner. and they brought him back from the well of Sirah; but David did not know it. Joab took him aside into the middle of the gate to speak with him privately, and there he struck him in the belly so that he died on account of the blood of Asahel his brother. Afterward when David heard it, he said, “I and my kingdom are innocent before the LORD forever of the blood of Abner the son of Ner. So Joab and Abishai his brother killed Abner because he had put their brother Asahel to death in the battle at Gibeon. Without David’s knowledge, Joab sent to have Abner return. Joab took Abner aside privately…to speak to him. He did so to revenge Abner’s killing of Joab’s brother, Asahel. David heard of the murder. The blood is not upon me and my kingdom. The blood would be upon Joab…forever. - those who lack bread. Joab’s house would have those who were unclean, lame, hungry, in poverty. Joab and Abishai had executed revenge rather than waiting upon the Lord. Then Abner and twenty men with him came to David at Hebron. And David made a feast for Abner and the men who were with him. So David sent Abner away, and he went in peace. and he had gone in peace. why then have you sent him away and he is already gone? Abner explained to David the plan. He wanted to gather Israel to David. Abner left in peace to return to expedite. Shortly after Abner’s departure, Joab and the army of David returned. He learned of Abner’s visit and departure. Joab accused Abner of deceit and trickery in the plan. Joab accused him of being a spy…spying out the situation for an attack. The same thing happens daily in the professing/organizational church. How many time have I heard “I am the…”? Be forewarned of this time of chicanery. Be aware it is a strategy of the evil one. Abner continues to lay the ground work for the kingdom to be unified under David as King. “In times past you were seeking for David to be king over you. and in addition Abner went to speak in the hearing of David in Hebron all that seemed good to Israel and to the whole house of Benjamin. Abner met with the elders of Israel. He reminded them of how, in times past, they had sought David as king. He now tells them to “do it”! He reminds them of how the Lord had spoken to the issue. I will save My people Israel from the hand of the Philistines/enemies. Abner spoke the same to the Benjaminites. Abner then went to David in Hebron and told them “all that seemed good to Israel and to the whole house of Benjamin”. Things were moving toward unity. Abner began to do what he said he would do…arrange for the kingdom of Israel to be unified with Judah under King David. Ish-bosheth sent and took her from her husband, from Paltiel the son of Laish. But her husband went with her, weeping as he went, and followed her as far as Bahurim. Then Abner said to him, “Go, return.” So he returned. Abner sent messengers to initiate a conversation. Abner wanted a covenant with David. The purpose was to bring all of Israel under King David. David wanted his wife back. He wanted Michal, Saul’s daughter. Did David not have enough wives? David likely wanted her back, but it was a power move above all things. Saul had “married her off” to someone else. He demanded this of Ish-bosheth the king of Israel. Micahl’s husband followed her heart broken. Abner told him to go home. The collateral damage of political intrigue is always more than we think. In governmental politics…be it of man or of “the church”. Between the house of Saul and the house of David. Within the house of Saul. Within the house of David. It came about while there was war between the house of Saul and the house of David that Abner was making himself strong in the house of Saul. Then Abner was very angry over the words of Ish-bosheth and said, “Am I a dog’s head that belongs to Judah? Today I show kindness to the house of Saul your father, to his brothers and to his friends, and have not delivered you into the hands of David; and yet today you charge me with a guilt concerning the woman. And he could no longer answer Abner a word, because he was afraid of him. Abner was strengthening himself in the house of Saul. Remember, Abner was not King. He “went in” (the Bible is nothing if not graphic) to the late Saul’s concubine. This was a sign of power. This was a proclamation of position. This was a usurping of the king. He obviously considered himself greater than the king…without the position. He proclaimed that it was by his kindness that Ish-bosheth was on the throne. He declared he had the power to deliver Ish-bosheth into the hands of David. He was offended that his deed had been questioned. Abner then played his final card. He would transfer the kingdom from the house of Saul. He would establish the throne of David over Israel. Was this just bull and bluster? As we saw, there was a long war between the house of Saul and house of David. The house of David grew stronger. The house of Saul grew weaker. and David grew steadily stronger, but the house of Saul grew weaker continually. The house of David grew in political strength. The house of David grew in spiritual strength. The house of David also grew in another way…numerically. and the sixth, Ithream, by David’s wife Eglah. These were born to David at Hebron. David had children born to him - sons and daughters. Here we have a list of sons that were born to him at Hebron. Often, when we read the Scripture and encounter geneologies/lists we skim/skip/glaze. This is to our detriment. We do well to give close attention and heed. Six sons were born in Hebron. Six sons by six women. David had at least six wives by this time. We will see some of them as we continue on through the Word.